Data breaches are at an all-time high. Industry giants such as Facebook, Best Buy, and FedEx were once thought to be invulnerable, but these last few years have revealed that even giants can be harmed. As such, the demand for IT professionals with cybersecurity experience, or “white hat/ethical hackers” has grown considerably. IT professionals can take advantage of this lucrative and growing field by earning cybersecurity certifications; this Cybersecurity Certification Mega Bundle contains prep courses for three popular certifications for only $69. Before delving into these courses, it's important to understand what a white hat hacker is. These IT professionals specialize in identifying vulnerabilities in networks. Essentially, they use the same methods black hat (malicious) hackers would, but they’ll strengthen or eliminate these vulnerabilities before they can be exploited. 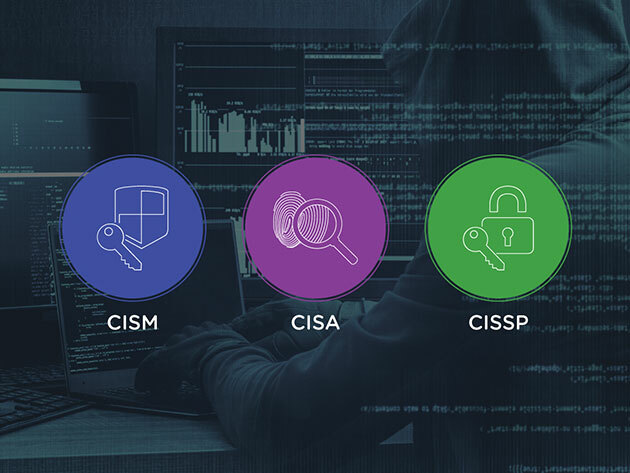 The Cybersecurity Certification Mega Bundle by Certs School focuses on three IT certifications: CISA, CISM, and CISSP. These are vendor-neutral certifications that endorse an IT professional’s understanding of IT security audits, assurance, guidelines, standards, and best practices. These professionals will know how to define, deploy and maintain information security in a business environment with approved security standards. Certified Information Systems Auditor (CISA) and Certified Information Systems Manager (CISM) are offered by ISACA, and provide an excellent starting point for IT professionals learning information security. CISA covers how to audit, govern, implement, and support information systems. Meanwhile, CISM is more advanced than CISA; these professionals will know how to tailor information systems to a company’s needs. This bundle also contains lessons on passing the Certified Information Systems Security Professional (CISSP) exams offered by ISC2. CISSP covers eight domains: security and risk management, asset security, security engineering, communication and network security, identity and access management, security assessment and testing, security operations, and software development security. You'll develop a functional standing of them all in this collection. The Cybersecurity Certification Megabundle normally costs $999, but this 93% off deal lowers the price to $69.